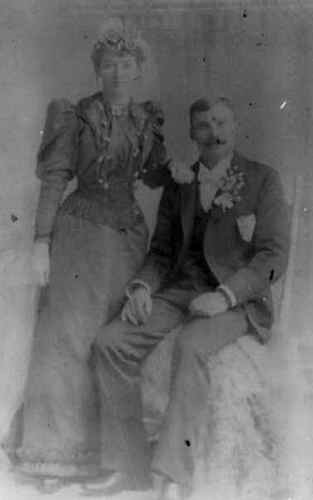 This is a photo of George Henry Albert Thierman – my 3rd great grandfather – and his wife Martha Hall. According to one of the notations, it was taken in 1851. Florence Alabama Warren Gosnell was my great grandmother. She married Amos William Phillips. They had 13 children.